Sindhi Wedding and its traditional customs and rituals! Sindhi people are mainly Sanatani Hindus, who do not follow Hindu rites firmly. But, Sindhi wedding is conducted in accordance with the Vedic rites. Sindhi people are mainly Sanatani Hindus, who do not follow Hindu rites firmly. But, Sindhi wedding is conducted in accordance with the Vedic rites. Sindhi marriages are an amalgam of Hinduism and Sufism. Typically the marriages take place on the promising days like Satyanarayan Chandsi or the new moon day. 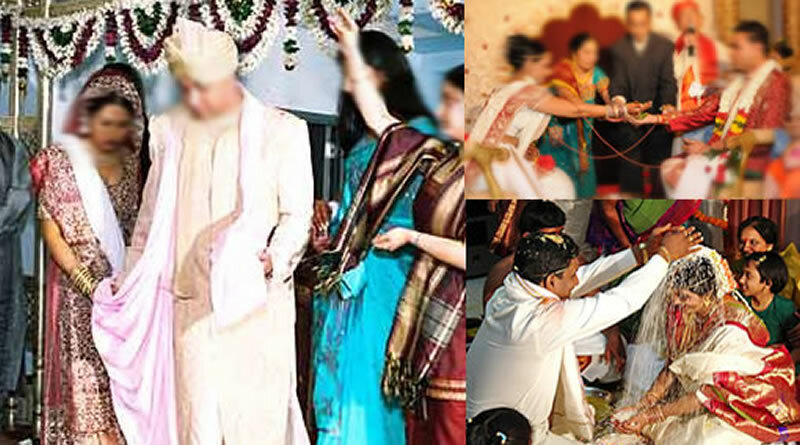 Like Hindu wedding, Sindhis also observe a number of pre wedding, wedding and post wedding ceremonies. Sindhi weddings ceremonies are based on Vedic rites and are celebrated with full of traditions, rituals and colourful customs. The weddings are set according to the position of both the families. Before setting the final wedding ceremony, the priest matches the horoscopes of the future bride and groom. He is also accountable for deciding the date for the auspicious event. The Sindhi Marriages rituals are completed only after the pre-wedding, wedding and post-wedding rituals are accomplished. 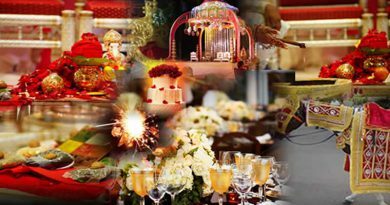 Pre-wedding rituals generally includes customs like mehndi, Santh custom, Sangeet party, Saagri tradition and Ghari puja. Sangeet party is the most pleasurable day during the Sindhi marriage where music and dances are performed followed by cocktail and dinner. There are a lot of Pre Wedding Rituals which are conducted before main wedding. In Kachchi Misri, a coconut and mishri is given to the bride and the groom, representing they are one. One week earlier to the marriage, the Pakki Mishri takes place, wherein the proper engagement takes place and the couple exchanges rings. It is also known as “Kuchcha Shagun” is solemnised by the parents of the bride and bridegroom where the couple get to see each other and rings are exchanged and are considered engaged. The gifts and presents in the form of clothes, money and jewellery are exchanged between the bride and the groom families. Berana Satsang is conducted in the name of Sindhi God Jhulelal. The next Ritual, the Mehendi ceremony is held in which the bride’s hands and feet are adorned with henna designs. Mehendi ceremony in Sindhi Wedding is performed 3-4 days earlier to the wedding, is celebrated amongst music and fanfare. Next is the Santh custom, according to which seven married ladies apply oil in bride’s hair. This is an exciting ritual where the bride & the groom a day before the marriage have to break the cover of a small earthen pot in one shot with the shoes they have been wearing since morning. The same shoes then have to be worn on the nuptial day. The Sangeet party is a dance and music feast for women. The Saagri tradition is held, which involves the showering of flowers on the bride. The groom’s wedded sisters and cousins visit the bride’s place and beautify her with flower jewellery made of Mogra. The Ghari puja takes place at bride’s and groom’s place. Payers are done and women grind wheat as a symbol of fortune and prosperity. A handful of grains are given to the priest by the groom. Thread ceremony is an important marriage ritual, in which turmeric powder and oil is applied to the bride and the groom. Hereafter, they are not permitted to step out of their homes before wedding. Next is the Swagatam custom, wherein the groom is greeted to the bride’s house by her sisters and friends. At the entrance the groom places his right foot on top of the bride’s foot. Paon Dhulai’ is the ceremony in a traditional Sindhi wedding ritual. Here the bride and groom are seated in front of each other with a screen that separates them. The bride’s brother washes the feet of both of them with raw milk in a bronze thali. Jaimala is the next ritual that happens during the ceremony where the garlands are exchanged by the bride and the groom. Hereafter, the Hathialo tradition is held, wherein the groom’s shawl is tied to the bride’s sari. Their right hands are also tied with red scarf ad they pray to the Almighty to bless their union. Then the main wedding ceremony begins. The couple is seated in front of the sacred fire. While the priest chants mantras, they take four rounds around the fire. They take promises of duty, love, fidelity, respect and a fruitful union. The groom shows the acceptance by keeping the bride’s hand over his forehead denoting that he is destined to marry her regardless of all the worst conditions. Next is the Kanya Daan ceremony, wherein the parents of the bride hand her over to the groom. The next ritual is Vidai where the bride makes her way towards groom’s home leaving behind her parent’s house. After the marriage, the bride is greeted in her new house. Her in-laws wash her feet and cover her head while she sprinkles milk all over the house. After this, the bride takes a handful of salt and gives to the groom. The groom then gives it back to her, without spilling any. This process is repeated thrice. This is known as Datar Ceremony. This is also carried out with other members of the family. Next is Chhanar ritual or Dev Uthana, in which Devs is removed from the house. Afterward, Sataurah custom is observed, following which the newly married couple visits the bride’s house at an auspicious time decided by the priest. After the marriage ceremony, post-wedding rituals like Datar, Chhanar and Sataurah are performed which denote the end of the Sindhi marriage rituals. They are specifically performed to welcome the bride to the groom’s house for starting her new life. If you need any help regarding Sindhi wedding ceremony or Sindhi Wedding Management, please leave your message about your dates, ideas and budget plans at our Wedding Help Centre. ← Jewish Wedding and its Traditional Customs and Rituals! Wedding Management And Wedding Planner! 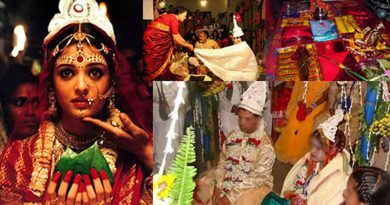 Bengali Wedding and its traditional customs and rituals! 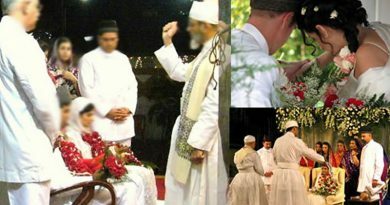 Parsi Wedding and its traditional customs and rituals! Spot on with this write-up, I truly assume this website wants much more consideration. probably be again to read much more, thanks for that info.